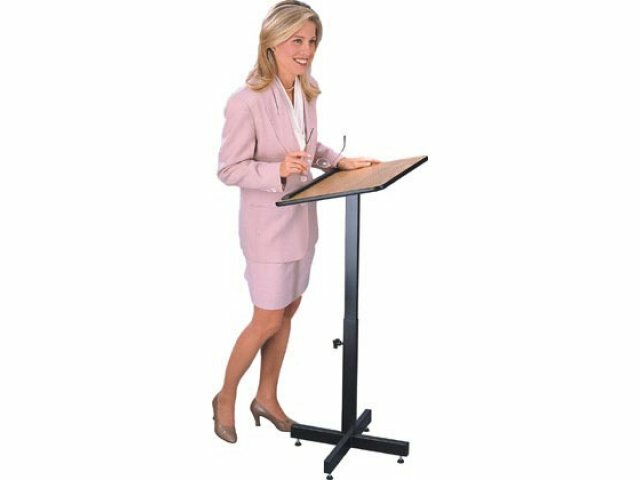 When a series of presentations take place in different locations or even in the middle of a larger service, having a portable podium that can be set up quickly without fuss is essential. 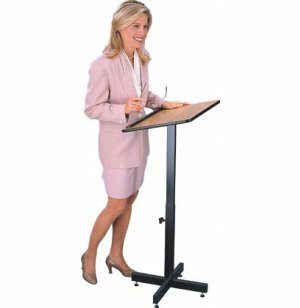 This portable podium looks great, but what makes it really special is that it is very light and requires no real work to set up. 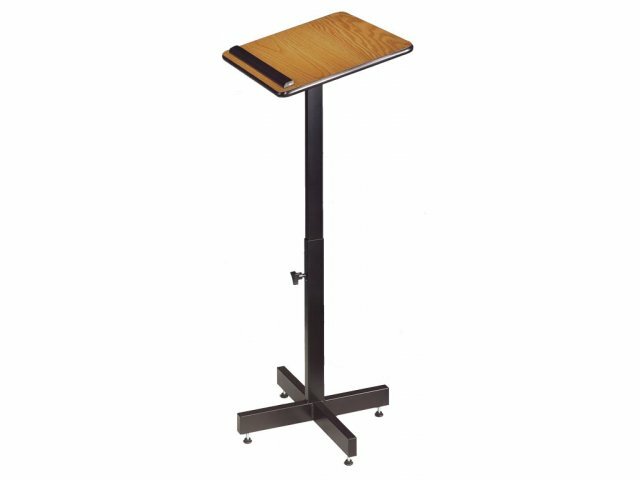 Just place it in front of the person who will be delivering the lecture and you have an instant, professional looking podium. When the talk is over, just pick it up and move it aside. Another great feature is that it is height adjustable with the flick of a wrist. 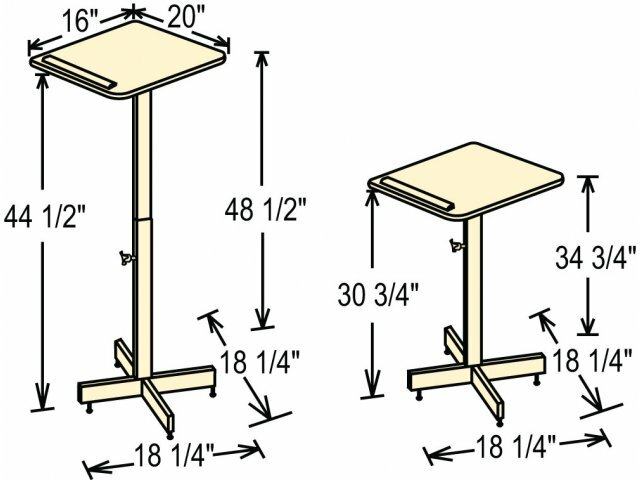 The base can be adjusted from 30" to 44" so that it can be the right height for every speaker. A raised edge at the bottom of the surface keep all of your speakers' notes in place. These portable podiums come in a variety of colors to match your interior design. 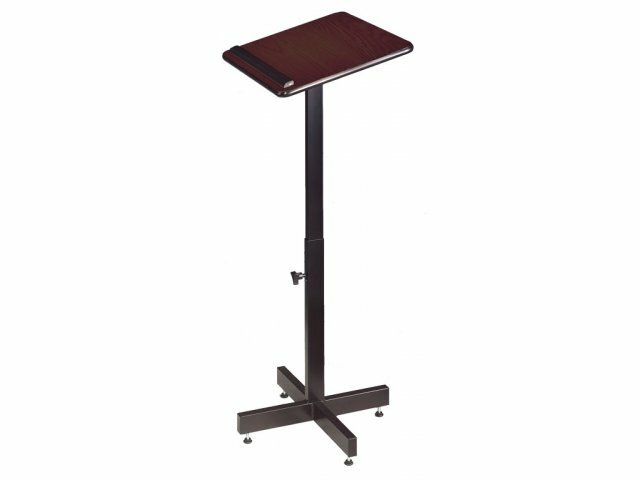 Protection: Four adjustable glides prevent floor scratches and keep lectern stable. Sturdily Built: Constructed from 16-gauge 1" x 2" square tubular steel. Convenient Design: Book stop prevents papers, books and other materials from sliding off the surface. Finished Edges: 5/8" PVC smooth black T-Molding provides attractive contrast to all surface colors and matches the base. Adjustable: Plastic knob with nylon stub adjusts height from 30" to 44". Color Selection: Choose from a variety of surface colors. The gray laminate comes with a gray Base. All other colors come with a Black Base. Easily Transported: Lightweight compact design facilitates easy lifting and moving.